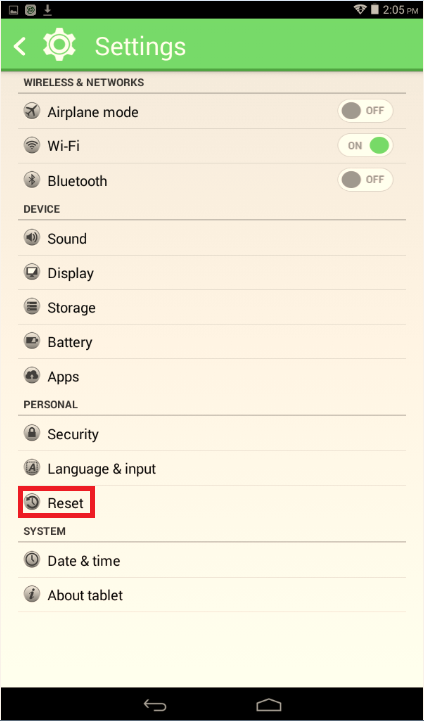 The tablet may be reset to factory settings in the Parent Settings menu. 2. 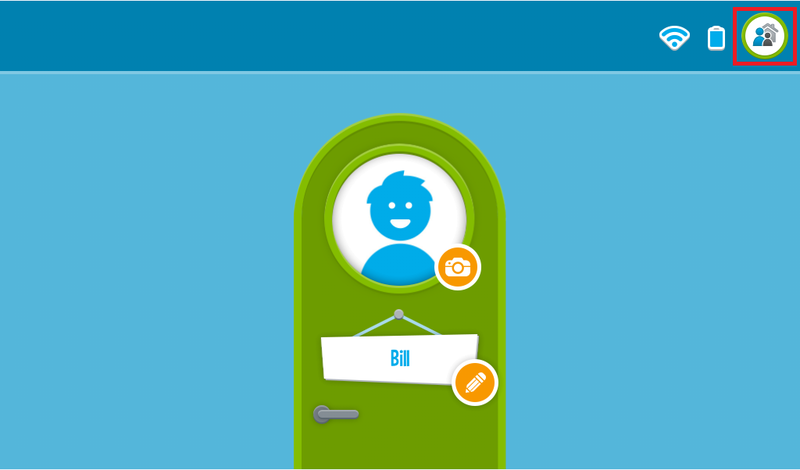 You will be prompted for your four digit Parent Lock Code. 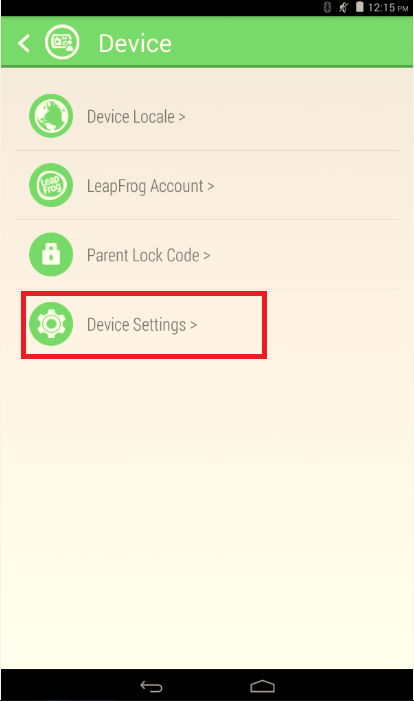 After entering the Parent Lock Code, you will be brought to the Parent Settings menu. 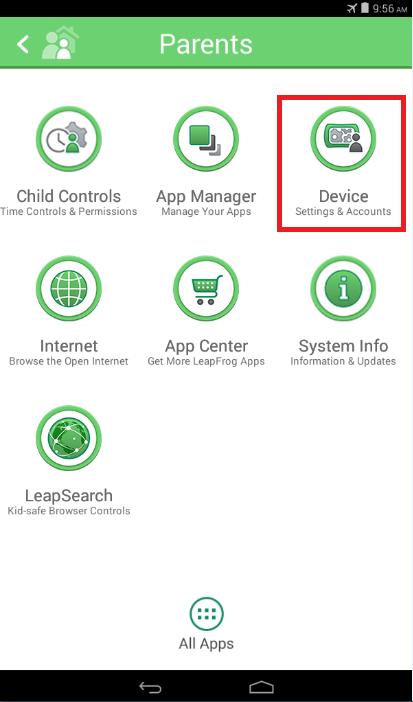 In the Parent Settings menu, tap on "Device"
3. 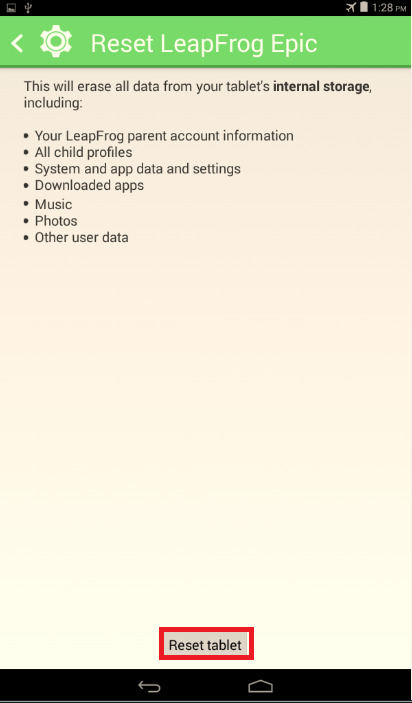 On the next screen, tap "Device Settings"
5. 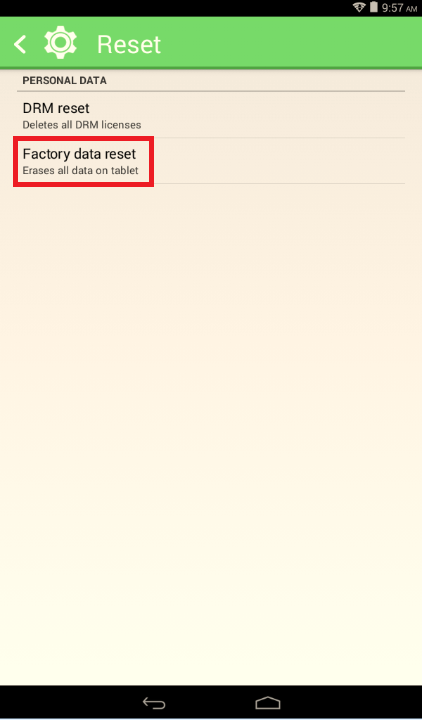 Tap "Factory data reset"